Annual of Urdu Studies is indexed in the Bibliography of Asian Studies. Search the Annual of Urdu Studies for parts of words. i.e. searching for "term" will find "term" as well as "intermittent", "terminate", and "terms". 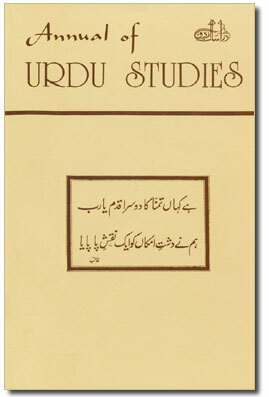 The first seven volumes of the Annual of Urdu Studies edited by C. M. Naim are available here. Subsequent volumes edited by M. U. Memon are available at http://www.urdustudies.com A link for the subsequent volumes is provided below.